Features integrated and adjustable grinder, to use either beans or ground coffee. 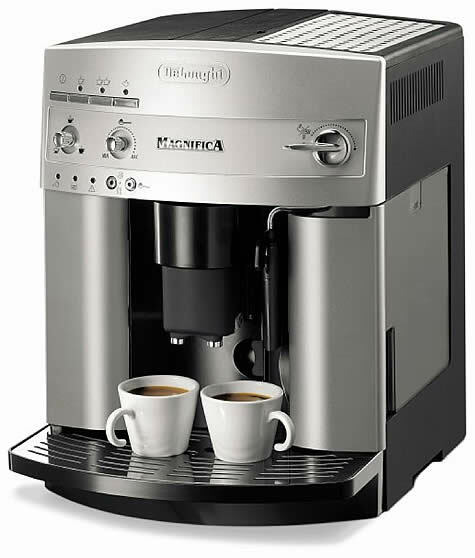 A Cappuccino System mixes air and milk and produces a rich, creamy froth for great cappuccinos. Adjustable coffee dispenser for varying cup sizes. 1.8 L water reservoir with electronic steam and coffee thermostat. For the ultimate beans to cup freshness with only one touch you can make the perfect coffee. 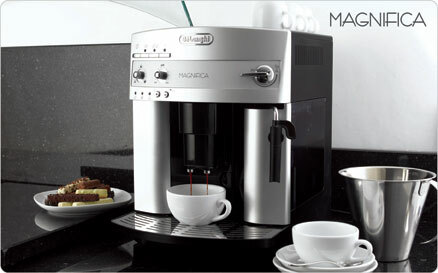 The Magnifica features a compact, Tubeless System. As the beans are ground and then used instantly the Tubeless System always guarantees a perfect cup of coffee, with a perfect aroma at the ideal temperature.